Modern triangle earrings in solid sterling silver. Hand cut and textured. Feature an 8 x 10 red coral cabochon (color enhanced) Perfect for Christmas or Valentines day or any day!! Love the look but would love a stone of a different color? I have plenty to choose from, so just contact me with your request. 925 Sterling Silver Necklace Pendant. Artisan designed. "Dragon Scales"
Sterling Silver Recovery pendant necklace. handforged triangle pendant. 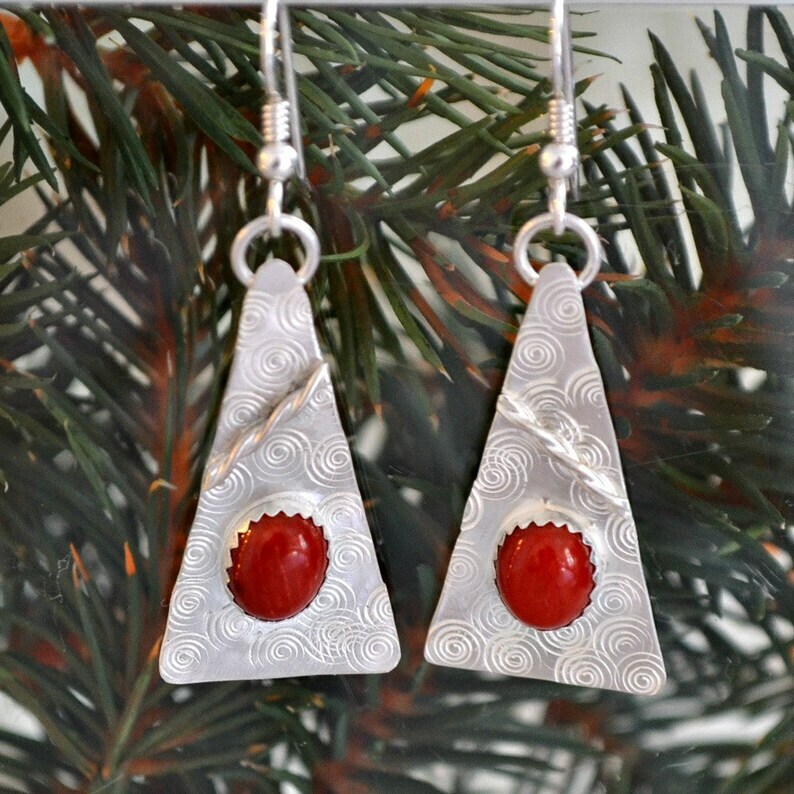 mojave turquoise and lace agate sterling silver earrings. "Dew Drops"
Sterling Silver wire dangle earrings. Petite geometrics. Sterling silver recovery earrings. Hand made. Sterling silver oval bubble dangle earrings. Southwest style turquoise and sterling silver earrings. hand stamped and made. "Sedona"